History - You Should Visit Japan! Japan has a rich and storied history. As with any country, not all of it is pleasant. But it is fascinating. Where do you start? A favorite for many are the collections of Shinto shrines and Buddhist temples found all over Japan. There are also remnants of Japan's war history, sometimes in places you would not expect. There are even places where Japan's historical periods are brought back to life through replica town and actors. It's natural to think of Kyoto when thinking of Japan's fascinating history. Once the capital of the country, Kyoto is home to many Shinto shrines and Buddhist temples. It's also surrounded by breath-taking scenery, and a favorite tourist spot for Japanese and foreigners alike for the spring's cherry blossoms and the fall's changing colors. The best place to start when mapping out your Kyoto trip is the Official Kyoto Travel Guide. More than just a list of shrines and temples, the home page has information on seasonal events, walking tours, bus tours, and even English-speaking limousine services. There are many things to do and see in and around historically and culturally rich Hiroshima. The most obvious would be the "A-Bomb Dome", also known as the Hiroshima Peace Memorial. Targeted during the war for its military-industrial complex, Hiroshima has been rebuilt as a city hoping for peace, with the A-Bomb Dome as its symbol. 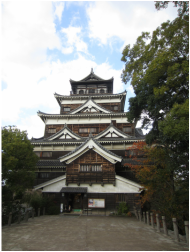 Hiroshima Castle, pictured above, is actually a replica built in 1958. The original was destroyed during the atomic bomb blast. Only the exterior is in the original style, as the interior is a modern museum of the samurai culture. Miyajima is a World Heritage site and well worth the ferry ride. It is said that God resides there, and I think God made a great choice. Enjoy the overwhelming beauty, and don't forget to shop on Omotesando. There are actually two good English websites for Miyajima tourists. One is at this link, and the other at this link. Okunoshima is about two hours by train, plus a five minute walk to the ferry, and then 15 minutes by ferry to the island. The dark part of Okunoshima's past is that it held a secret chemical weapons plant during the 30's and 40's. It didn't even appear on Japan's unclassified maps. To this day, many Japanese are still not aware of its existence. Although the buildings remain (and are off-limits), now it is home to hundreds upon hundreds of adorable rabbits, who are all waiting for you to visit and feed them cabbage leaves and carrots. The best way around the island is by rented "mama-chari" (mama chariots), known to us foreigners as "bicycles". They are maintained in good condition and are cheap to rent. There is a nice hotel on the island if you wish to stay overnight. The restaurant serves what is caught in the local waters, so octopus is a part of every meal on the menu. Personally, I don't care for octopus as it takes a long time to chew if not prepared properly. But my friend who traveled there with me says the restaurant cooks it correctly. Living history. Much of Japan's ancient history lives on today, through its people. Attend any matsuri for a taste of old Japan. Literally! 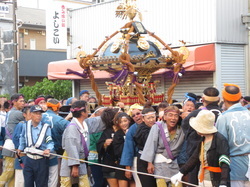 "Matsuri" (祭) means "festival" in Japanese. 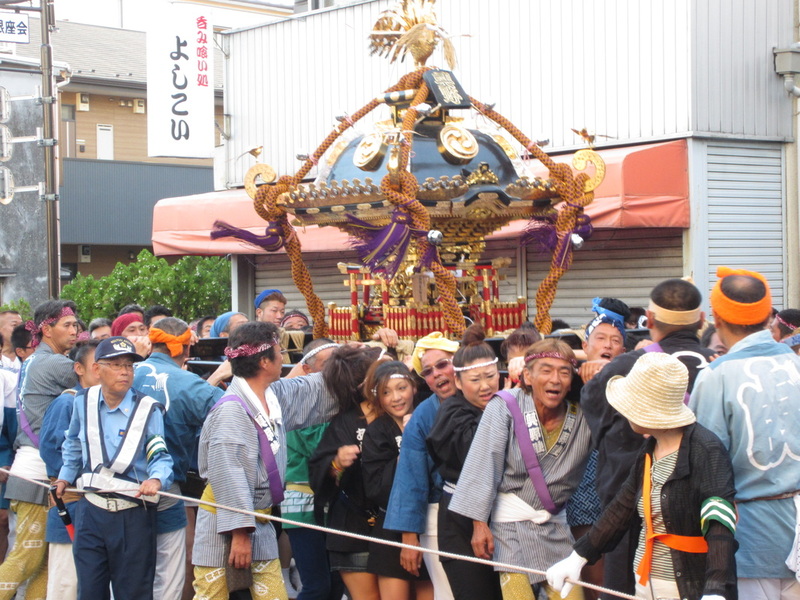 There are many kinds of festivals, and they occur all year long, in every corner of Japan. The best known is the "sakura matsuri", the cherry blossom festival in the spring.